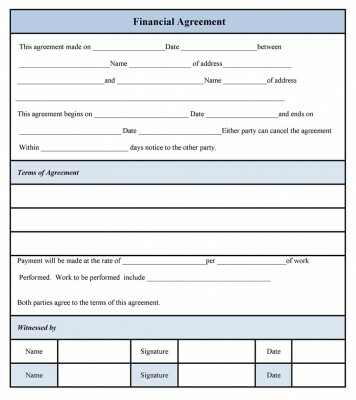 Financial Agreement forms are used to depict agreements between parties in matters involving money and payment for services. These forms are a legal and binding document and must be prepared according to the respective laws of the state. The financial agreement forms need not bind all the properties of the parties. They can be made for selective assets only according to the consent of parties. 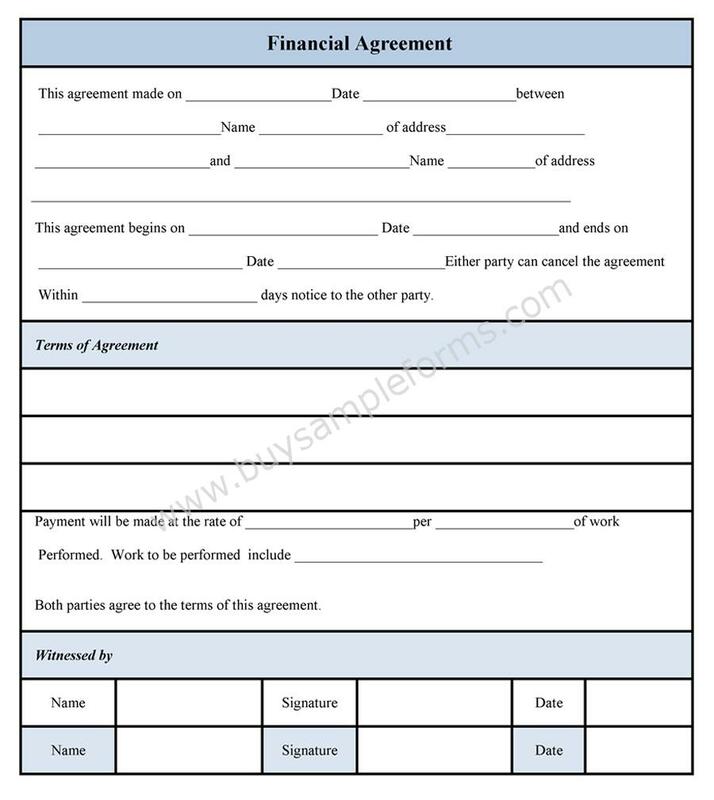 An example of a binding financial agreement is a financial agreement entered into when a couple are entering into a marriage or after a divorce. Such financial agreement relates to their finances and the division of assets and financial resources when their relationship comes to an end. Financial Agreement Forms must be prepared in a professional manner. The forms will include the name of the parties, the date of agreement, the terms and conditions of the agreement and signature of both the parties. 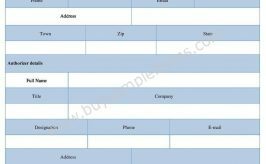 Below is a sample Financial Agreement template.